We received homework at my first stamp club meeting, but it is the fun kind of homework. I am happy to have a craft space in our current house. 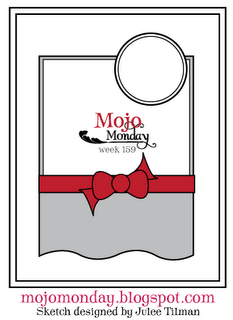 Our homework was to use this Mojo Monday sketch to create a card. 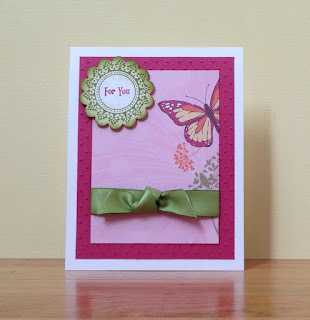 I pulled out some of my retired Stampin' Up supplies that I had not used in a while and am happy with the results. I used May Flaum's photography tips to get better pictures of the card. 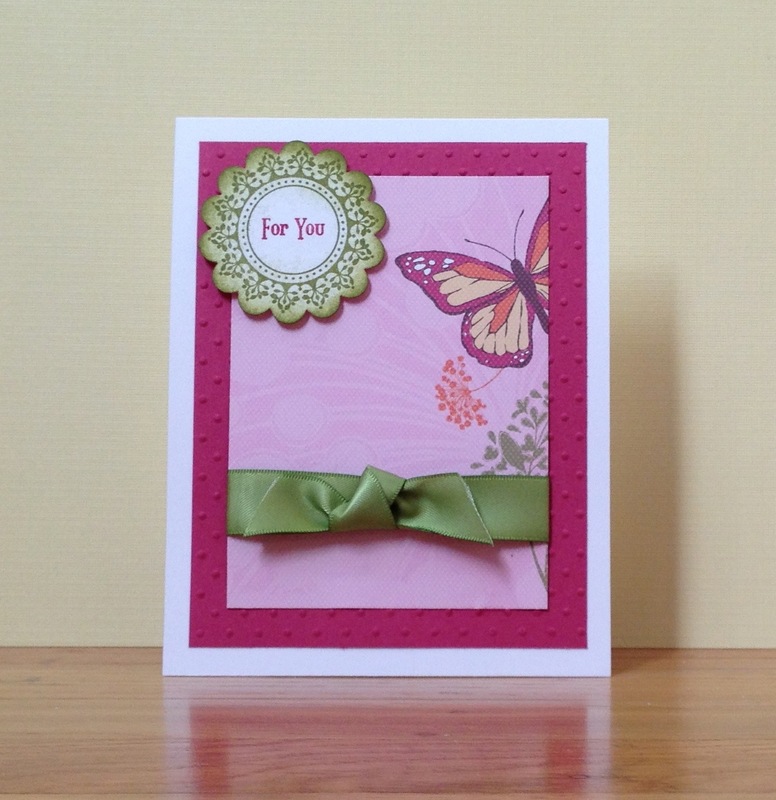 I find it challenging to capture good photos of my cards and scrapbook pages. Sara, this is absolutely gorgeous!! Love that bright pink and the image! The ribbon is the perfect touch too. SO lovely!